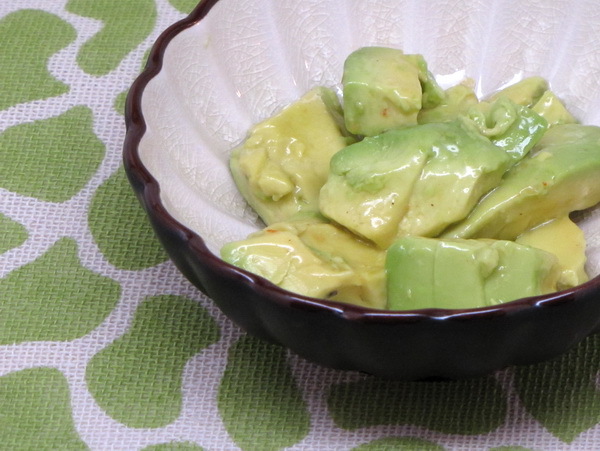 The wonderful texture of flavor of avocado shines through in this simple recipe. As well as tasting delicious, avocados are full of healthful MUFAs. 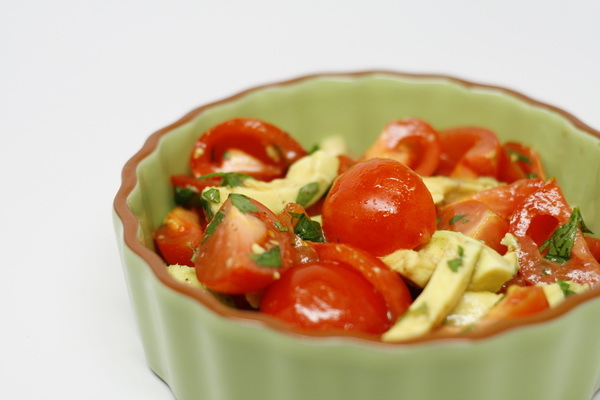 This time I used all sliced Campari tomatoes for this salad – they are so sweet ! 1 T chopped cilantro or parsley. Mix all except avocados in a bowl – then add avocado and gently mix so that avocados do not break up. Serve immediately. 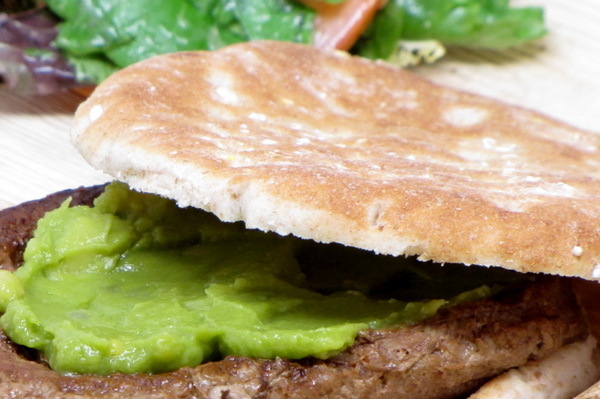 The avocado topping brings back much needed moisture to an often dry turkey burger. 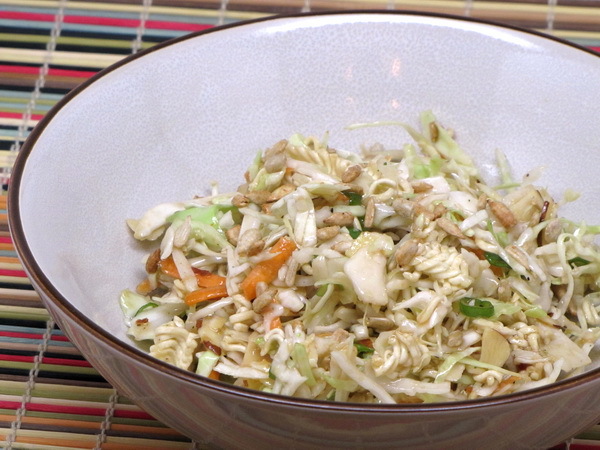 Feel free to add tomato and onion slices – they carry a minimum of calories. 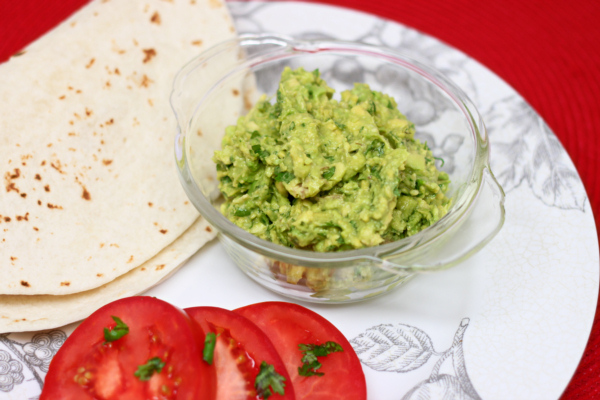 If you can’t get your hands on a nice ripe avocado, substitute Wholly Guacamole (a super fresh guac available in the refrigerator section of your market). Heat a pan on medium high. Remove from heat to spray with Pam. Heat frozen burgers according to package instructions (you can alternately grill or broil the burgers, but cook them slow so they do not dry out). 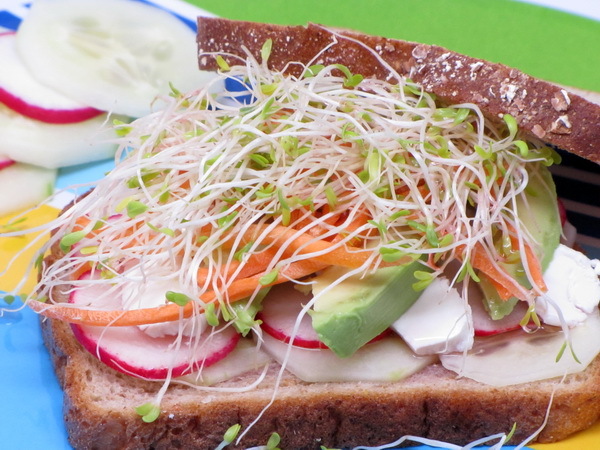 When done, place on a bun and add 3 slices of avocado on the top. This makes the job of making avocado slices a breeze – tools such as these make perfect slices all the time ! 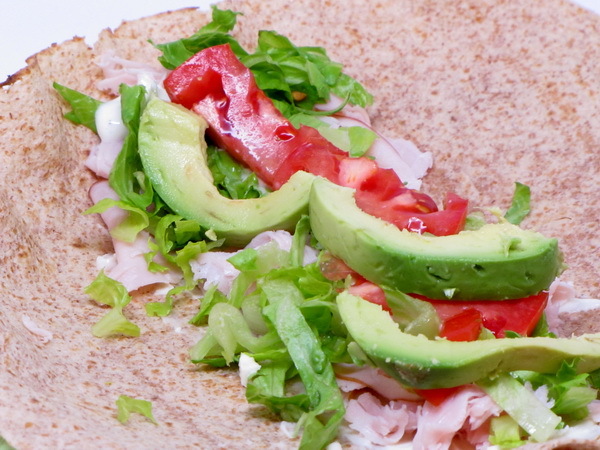 Simple, quick, and a great tasting lunch wrap. Take out the Bacon, replace it with avocado and you have an ALT instead of a BLT. You still have the bacon flavor since you have Bacos in here, but the main flavor is the avocado. So get your MUFA on and have a great sandwich for lunch today ! Even though there are bacon bits here, the main star of this sandwich is the avocado, so I call it an ALT instead of a BLT. 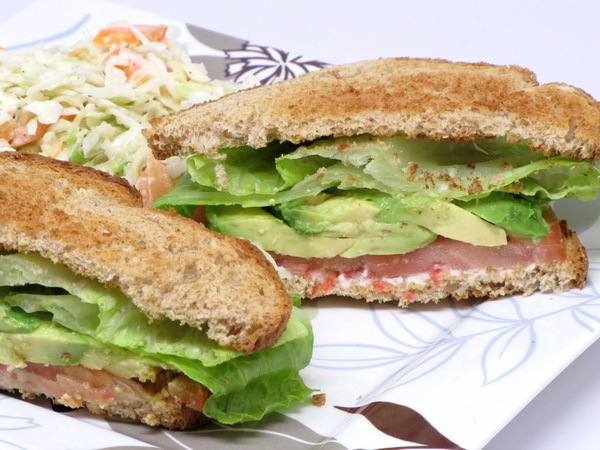 Combine mayo and bacos and mix well then spread of 4 pieces of toast and layer with lettuce, avocado and tomato.